Here, three great bottled craft shandies to try this summer. A classic summertime sipper, the shandy is a simple mix of beer and lemon soda (or lemonade or ginger ale, depending on your preference). It’s simple enough to make, but how do you know exactly what beer to use? Or how much lemon soda to pour? Luckily, a few highly qualified craft breweries are bottling them to avoid all the fuss. Here, three great bottled craft shandies to try this summer. 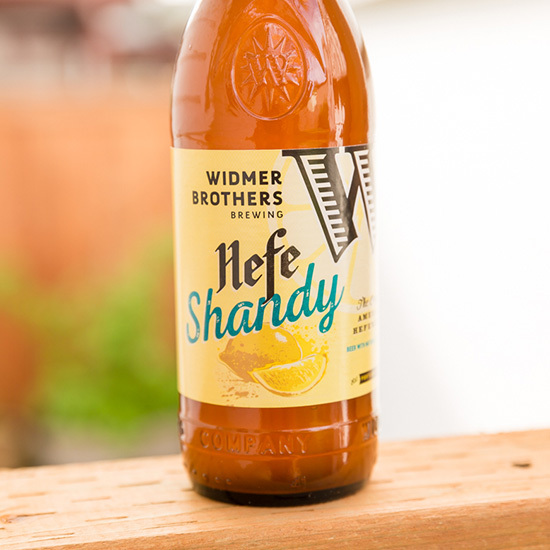 The Oregon-based brewery blends its flagship hefweizen with lemonade flavor for this creamy, crisp, not-too-sweet new offering for the season. What really takes this new bottling over the top is the use of Lemon Drop hops in the hefeweizen. A new strain, Lemon Drop hops have a distinctly citrusy flavor and aroma. Boston Beer Company’s craft brew incubator, Alchemy & Science, created this sweeter take on a shandy. It’s a wheat ale brewed with fresh lemon and a touch of lime for a brightly citrusy flavor. This sweet-tart grapefruit shandy is perfect for those who prefer their shandies fruit-heavy. A mix of unfiltered wheat beer and grapefruit juice, it’s a great brunch beer.